Easy for beginners. 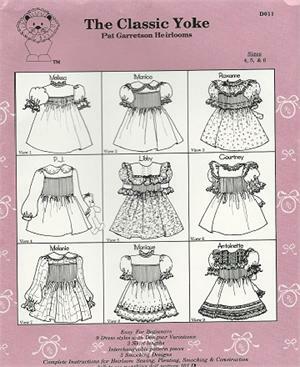 9 dress styles with designer variations, 3 skirt lengths, interchangeable pattern pieces, 3 smocking designs. Complete instructions for heirloom sewing, smocking, pleating and construction. Separate pattern available in sizes 1/2-3years.